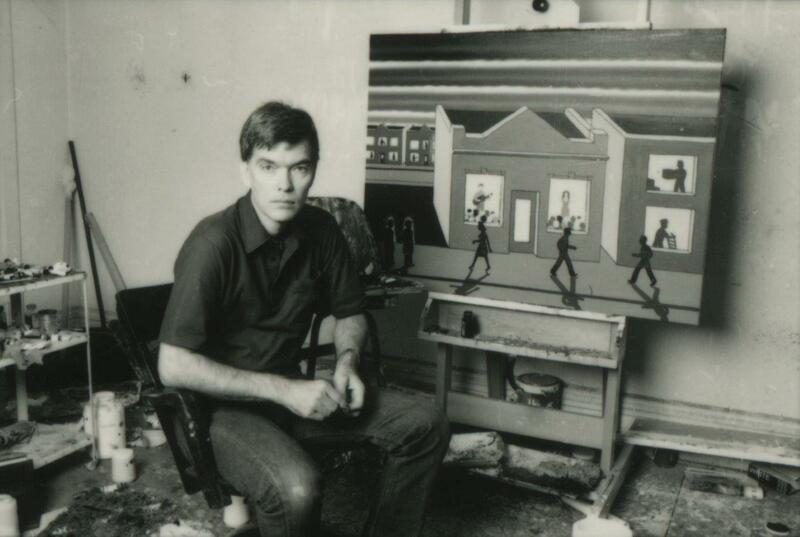 Roger Brown was a prominent member of the Chicago Imagist group, a cohort of artists working in the late 1960s onward who embraced figurative subject matter, unconventional and often “low brow” source material, and personal biography in their artistic practice. Brown was also the only known gay member of the Imagist group and inserted his personal experiences with Chicago’s shifting sexual culture into his artistic practice, from cruising and leather culture in the 1970s to the onset of AIDS in the ‘80s and arts censorship in the ‘90s. Brown was diagnosed with HIV and passed away from complications of AIDS in 1997.